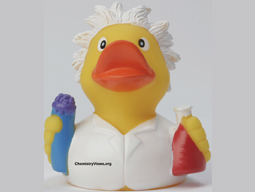 Welcome to the 13th issue of the ChemPubSoc Europe newsletter. Please read, enjoy, and recommend to your colleagues and students! 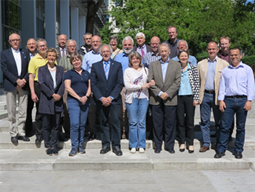 ChemPhotoChem is the new ChemPubSoc Europe journal, edited by the same team responsible for ChemPhysChem and ChemElectroChem. 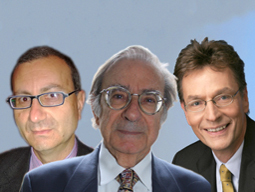 The Editorial Advisory Board is chaired by international, highly regarded scientists: Kazunari Domen, Malcolm D E Forbes, Axel Griesbeck, and Johan Hofkens. 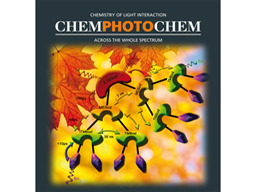 It covers the entire scope of pure and applied photochemistry and is aimed to become the next high-quality journal following in the footsteps of ChemCatChem and ChemSusChem. Submit your hottest research now! 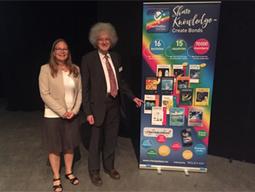 Join Founding Editor Peter Gölitz and Associate Editor David Peralta at ChemMedChem's Anniversary Reception during the XXIV National Meeting in Medicinal Chemistry in Perugia, Italy. Read David Peralta's and Scott Williams's interview with the chairmen Giorgio Tarzia, Antonello Mai, and Rainer Metternich. They share their personal experience, provide advice for research, the future of medicinal chemistry as well as publishing. Take part in a short survey, and have the chance to win one of 30 laser pointers to use during your presentations. Winners will be randomly drawn from all valid entries and contacted by email. Closing date is September 30th, 2016 (midnight CET). Professional audio-visual abstracts provide a state-of-the art way to put your research across to a much wider audience. They are prepared with the talented team from Research Square, who produce a custom video with voiceover, animation, images, and text. Special Offer for authors of EurJIC/EurJOC: ChemPubSoc Europe is sponsoring 20 video abstracts for research articles that are accepted from mid-August 2016. Come visit us at Booth #15: Meet ChemPubSoc Europe Editors and Board Members and talk with them about your science and papers, celebrate the ChemPubSoc Europe Fellows, test your knowledge of ChemPubSoc Europe and take part in a tombola... We look forward to seeing you! Please let us know if you find this latest edition of our newsletter useful, and tell us what you like most or what you think is missing (ChemPubSocEurope@chempubsoceurope.org)... 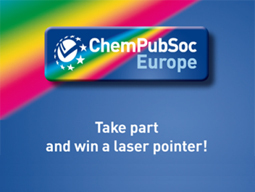 If you haven't done so, you can register here to keep up with all the latest news from ChemPubSoc Europe!